There are quite a few factors to consider while choosing an ideal high-speed internet provider for your home/office. No one likes to work on slow internet and this is why speed matters even if you spend the whole day in front of your computer. There are so many people who have switched to speedy broadband from dial-up connections. It is important to research the best internet service providers in your city, your area. Your location might not be supported by all carriers in spite of giving advertisements. You can have a word with the providers in your area regarding your requirements. There are different plans suitable for different budget and speed requirements, choose a package that is best for you. 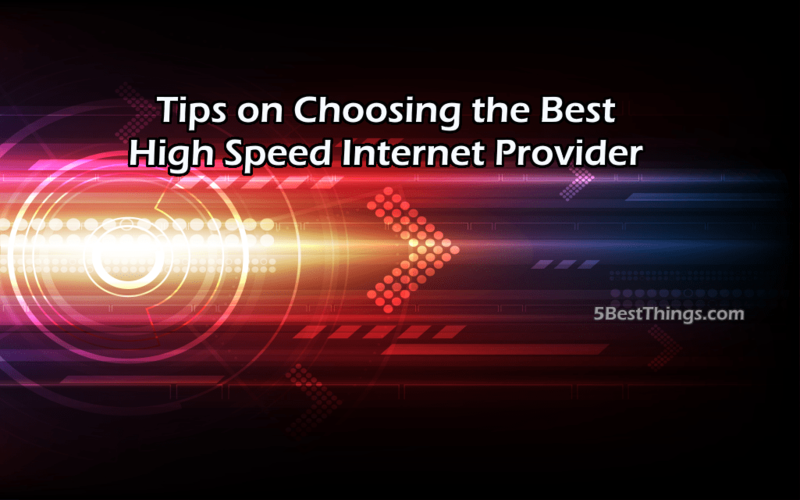 This will help you to narrow down your choice and easily find a high-speed connection. While your search is on for high-speed internet, do you even know what you need the high speed for? If you use internet for basic tasks say, video streaming and checking emails or doing some plain writing, you do not need super fast internet. Choose the speed based on your needs, you can have a work with the service provider. More the speed, the more you need to pay. If you really need great speed, do not ever compromise bandwidth for pricing. Shop around for the best price because you might come across different pricing being offered for the same plan by two different service providers. No one loves to pay more for the same service. Research the pricing well before you finally decide. There are companies like Radioactif that offer discounts to students and new customers. Some service providers also offer special upgrades for existing customers. There are some that charge extra for 24 hours customer support on all 7 days. Reliability comes first when you are out to choose a high-speed internet service provider. What incase you are subscribed to a superior-speed plan but not getting the desirable speed? Look for a service provider that has a reliable customer service team that assures you timely service and keeps you notified if the internet is down. You should be connected to an ISP via chats, phone and messages so that you get the best local customer service. If you are running a business, get in touch with a service provider that offers special speed that is fast enough, emailing features and competitive pricing mainly for businesses. Try getting a lucrative business connection because you pay a lot more and need more features. Ensure the service provider is offering speedy internet connection via top-notch local mirror servers. If this happens you will have awesome gaming experience and video streaming. Who feels like waiting for ages for watching videos? Is your ISP offering unlimited plans and you are feeling like subscribing one? There is a lot of contention in unlimited plans, if the connection does not have any upload or download limit, there is a lot of pressure on the network which brings down the speed. While looking for speedy internet there are no buying unlimited plans. This is very important to consider. There are many internet providers that purchase internet from the whole-sellers. They do not fix issues for you so easily. Therefore opt for an agent that offers services to the end users directly. This way you can use fast internet without interruption. High-speed internet has brought about a change in the world of online communication. The cost of this technology is very affordable and with each passing year, the demand for superior speed is increasing. Due to so much competition, services have become such affordable and of great quality. Do a proper research, compare various service providers and take time to decide. So, do not hesitate to put in a little time and effort to search for the best. If you are looking for a reputed service provider in Montreal, Radioactif is the best for you. This company offers the best speed internet within your budget.